TR: Apple cihazların çeşitli versiyonlarında ekran kilidini ve Apple ID'sini çözeceğini iddia eden yazılım.İngilizce açıklamasını çeviri yaparak hangi şartlarda çalışacağına ulaşabilirsiniz. EN: Unlock iPhone Apple ID and Locked Screen in Minutes. Forgot your Apple ID password? How do I unlock my Apple ID without password? 4uKey can solve all these issues. It can remove Apple ID from all activated iPhone or iPad. Using the professional Apple ID removal tool, you don't need learn special knowledge then you can enjoy all features of iPhone/iPad. iOS 12 and above are NOT supported if Find My iPhone is ON. And illegal removing for business purpose is prohibited. If Find My iPhone is off, all devices are supported. Do not erase all contents and settings on device or restore iPhone with iTunes after Apple ID removal. 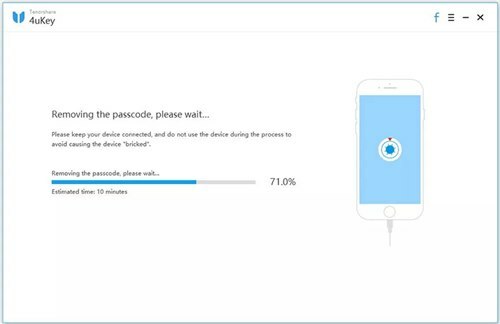 Because the original Apple ID is necessary to activate your device after restarting, and you will not be able to remove the Apple ID through the software again.